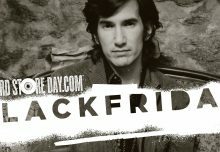 Omnivore’s RSD 2012 Releases in Billboard Today! As you can imagine, it makes us all very happy to open up our copy of Billboard today and read about our upcoming Record Store Day releases! Take a look for yourself. 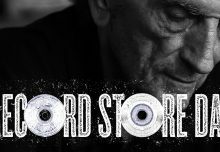 Record Store Day is just around the corner on April 21, and Omnivore Recordings has announced two upcoming exclusive releases that day—one of which will feature one of Country Music’s all-time legends. The burgeoning Los Angeles-based record label will issue an original, limited edition, vintage 1970 Buck Owens coloring book coupled with a four-song flexi-disc, and digital download card, of rare live material from the legendary country music Hall of Famer and pioneer of the Bakersfield Sound. Alongside that unique collection, Omnivore Recordings will also issue a 10″ authorized bootleg EP from 1978 featuring L.A. power pop group The Knack, a year before “My Sharona” made them an overnight success. Both Buck Owens and The Knack are vinyl only, limited edition releases exclusively for Record Store Day and available only at participating retailers on April 21. The coloring books are of great historical significance. Commissioned by Buck Owens in 1970, these original, uncirculated vintage coloring books have been safely stored by Buck Owens Enterprises for over 40 years. Original copies are sought-after by collectors and they are now officially being made available to the public this spring, for the first time since 1970. Omnivore Recordings is hand coupling a limited edition of 2,500 original stock coloring books with a newly pressed flexi-disc that includes four rare live tracks. The story told in the coloring book culminates in Buck & The Buckaroos playing a concert with four of Buck’s biggest hits “Act Naturally,” “Together Again,” “I’ve Got A Tiger By The Tail,” and “Crying Time” specifically highlighted and named below the double-page spread (and you can color it in). The flexi-disc and digital download card included with this coloring book feature rare live versions of those exact songs, curated from Buck Owens & The Buckaroos historic performance at the White House for President Lyndon Johnson on September 9, 1968. This collector’s bundle features a red, white or blue flexi-disc, which is viewable from the outside of the package and contains all four of the above-mentioned songs. The album “Live At The White House,” from which the tracks are drawn, was recorded in 1968 and issued almost exactly four years later on Sept. 5, 1972 and has never been reissued in any form. The set includes live versions of many Owens classics, and originally included Buck’s studio version of “You Ain’t Gonna Have Ol’ Buck To Kick Around No More,” a No. 13 hit for Owens that year—reportedly inspired by a statement from Richard Nixon after losing the California Governor’s race in 1962. Later this election year, Omnivore Recordings will release Live At The White House in its entirety for the first time on CD. This reissue also features a previously unissued bonus set that was broadcast to the astronauts aboard Apollo 16 in 1972, and has never before been heard on planet earth. Omnivore will also issue The Knack’s Live In Los Angeles, 1978 that day. 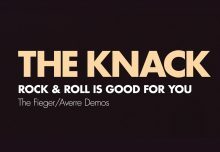 Culled from The Knack’s late-frontman Doug Fieger’s personal tape archive, Live In Los Angeles, 1978 captures The Knack at their pre-fame height, right before they would sign to Capitol and hit the big time. An authorized bootleg, this EP is being presented for the very first time as an historical document to the band and Los Angeles’ late-’70s musical era. The Knack Live in Los Angeles, 1978 is limited to an edition total of only 1,500 10″ records on red/yellow splatter-colored vinyl.